Standard size 60mm nightlatch in powder coated white finish. Supplied with rim cylinder keys and all fixings. Suitable for use on fire doors (FD30 and FD60). 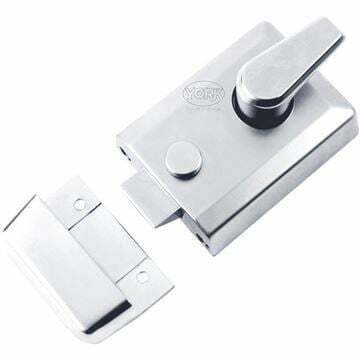 When the door is closed it locks the door on the latch so entry is not possible without a key. Button snib to hold the latch back when locking is not required.